Land Rover drivers in or around Woodbury choose Euro Autoworks as their leading European auto repair shop. Our auto mechanics are highly-skilled at inspections and maintenance of all types. We’re not like the other car service centers or dealerships that pay little to no attention to customer service. 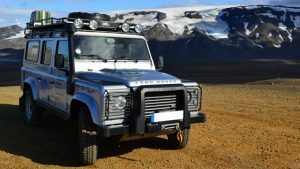 Clients stay with us for the long-term because of our accuracy, talent, and attention to detail when it comes to repairing Land Rovers and other vehicles. We aim to have you exiting our facilities in a car that’s both safe and secure. “Pleasantly surprised. Not often one can say that about an experience with an auto repair facility. Euro Autoworks gave me an acceptable estimate for repairs to the ABS and ESP systems on my 2006 VW GLI. When I picked the car up the bill was $100 less than the estimate. More importantly, a week later and 200 more miles on the car the repairs appear to have been done correctly. I have been looking for some place other than the dealer to have work done. I believe I have found it. I will be going back to Euro Autoworks the next time my GLI needs service.I am a very satisfied customer.” — Jim K.
To schedule an appointment at Euro Autoworks for Land Rover services, please contact us. We’re located at 8276 Hudson Rd #200, Woodbury, MN 55125. Our clients have come to expect top-notch auto repair and customer service from our team. You can count on our ASE-Certified and expert auto mechanics to get the job done right the first time. We’ve received praise from our customers because we offer integrity, professionalism, and a genuine interest in auto repair and quality customer service. When you’re in need of Land Rover services, Euro Autoworks is your premier choice!